I keep reading about the passenger screening 2+ hour delays because of a minority of TSA officials not coming to work during the federal shutdown. 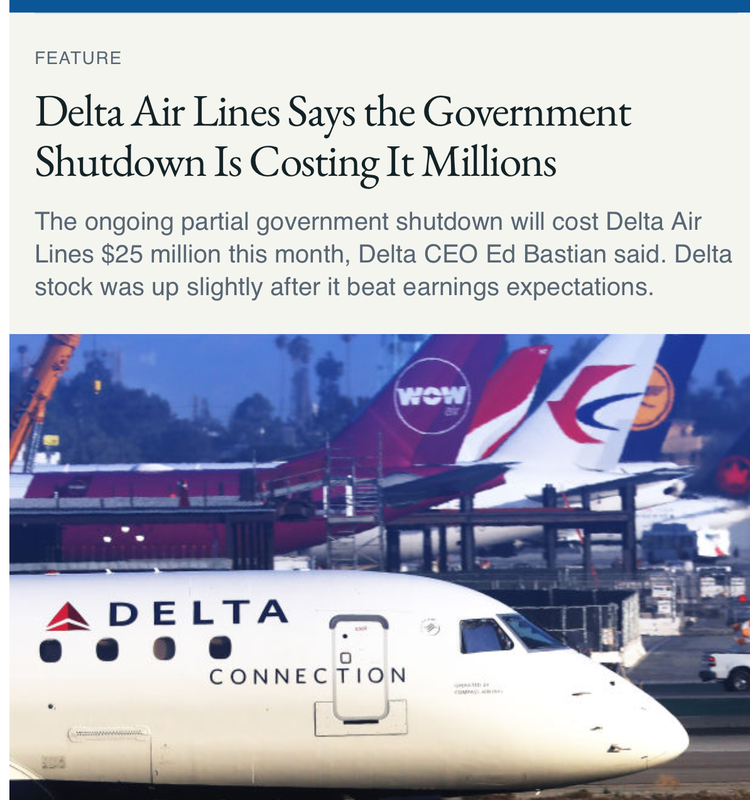 Now, Delta is unhappy about the money they are losing. 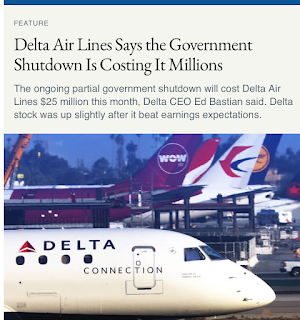 Bottom line: This is Delta's fault (good luck getting an airline executive to take responsibility for their actions)! You see, before September 11, the airlines paid for their own security. After, they were happy to unload that cost onto the government. But, that is now coming back to bite them. They didn't have to do it. See the map below? It is a map of airports that have private sector screening rather than the TSA. They are not experiencing shutdown-related delays. Atlanta, Delta's #1 hub, could have been one of them. The headline below is what brought all of this to mind. That story is here. Related story here. This is likely the faustian bargain of all faustian bargains. If you think Facebook is 'donating' money to local news out of the goodness of its heart, I've swampland in southern Georgia I would like to sell you.